Zion National Park is located in southwest Utah. 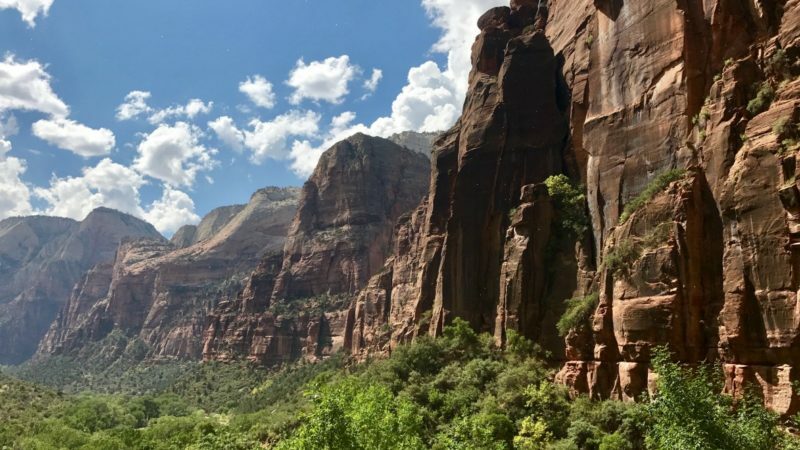 Known for its steep red cliffs, emerald pools, and waterfalls, it’s one of the most popular National Parks in the U.S. With a variety of hiking trails, it’s ideal for solo travelers, families, and any age group. 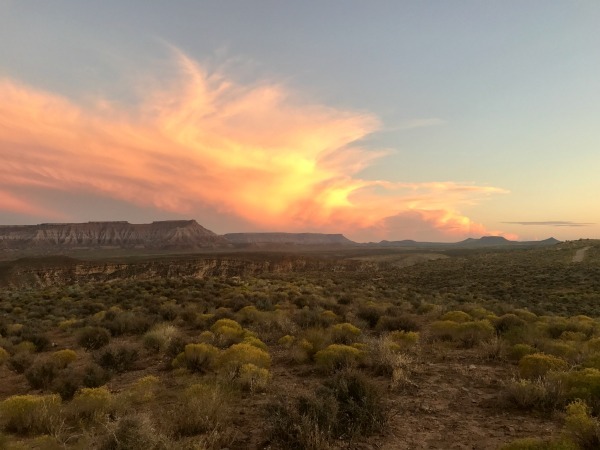 Use this first time guide to discover lodging options, must-see hiking trails, and learn how to get around inside the park. 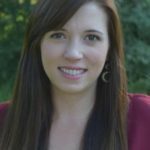 At the beginning of 2017, my husband asked me what was on my destination list for this year. 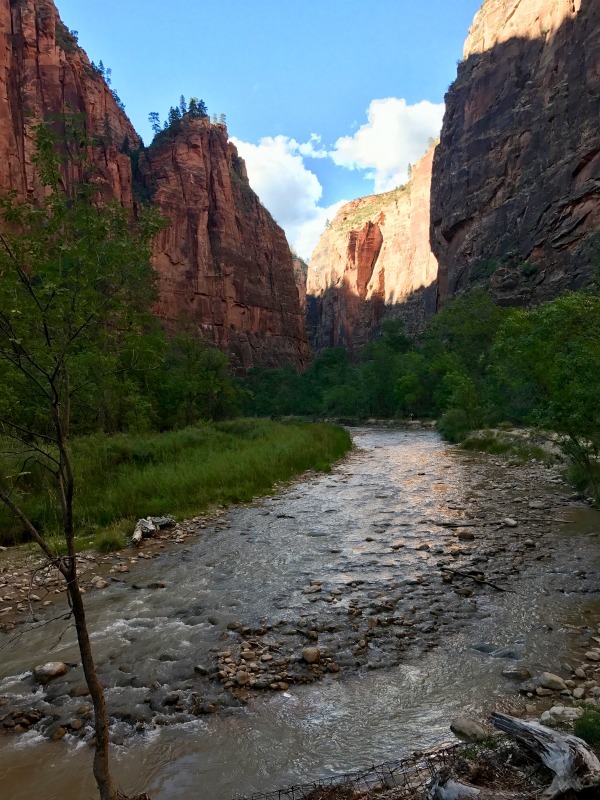 One of the places I expressed a desire to visit was Zion National Park. 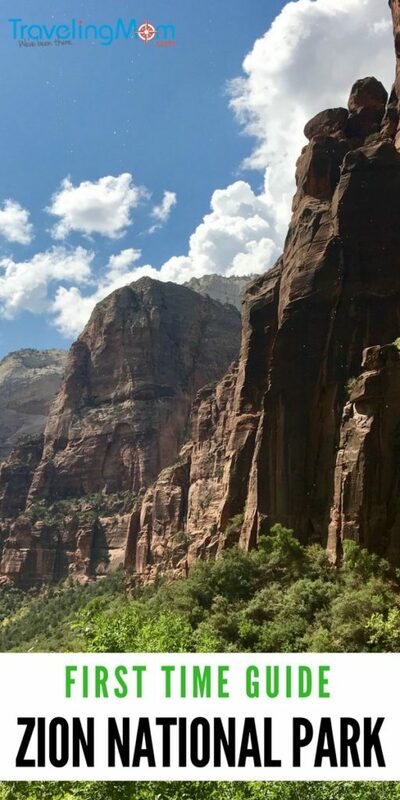 When we later received an invitation to Las Vegas for a wedding, I realized I’d be within a couple hours driving distance of Zion. I knew the timing was right, and so we began planning. 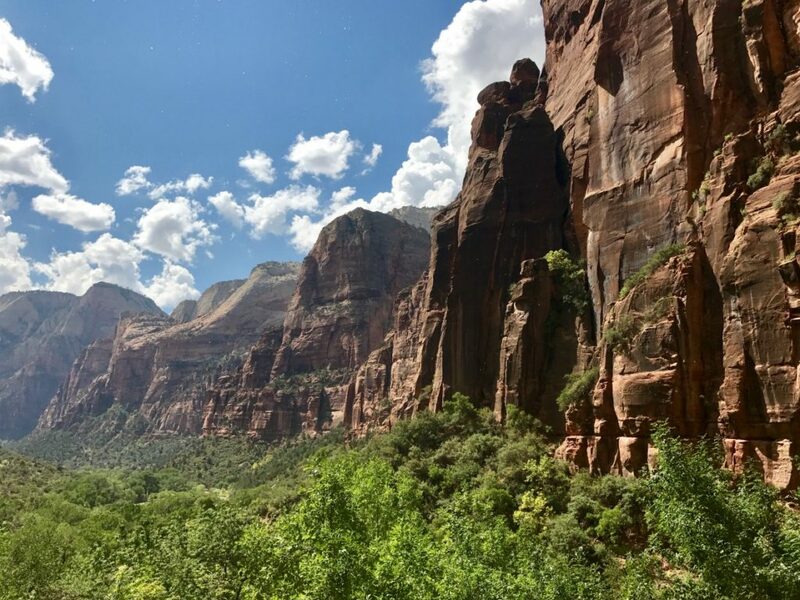 Zion National Park has become a popular destination over the years. As people see the incredible photos taken inside the park, they too want to experience it firsthand. Let me tell you, it’s more beautiful than what can be captured in a picture. During our visit, my family would comment on how what we were seeing with our own eyes seemed unreal. It is one of the most beautiful places I have ever visited. The National Parks in the U.S are common destinations for family travelers. Booking in advance is always advised, especially if you are wanting to stay in close proximity to the park. 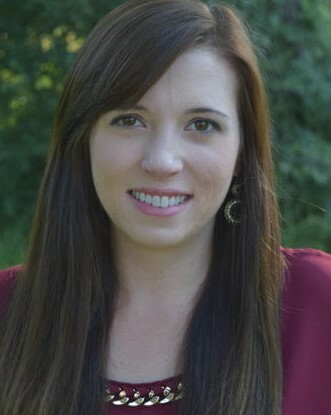 Some of the lodging options book up months in advance. If you are looking for in-park lodging options, then you should start planning as soon as possible. However, if you want to plan a visit soon and you haven’t started planning, don’t worry. Our visit was booked only 3 weeks in advance. We stayed 10-15 min outside of the park (during the off-season) and immensely enjoyed our stay. As previously mentioned, the parks can get very crowded during the summer months. We traveled during the beginning of September and found this to be an ideal time of year to visit. We didn’t have to contend with crowded trails or stand in line for a long period of time waiting for transportation inside the park. The Park recommends planning a visit between May and November. We spoke to other travelers on our visit who said the vibrant fall colors are best seen during late October. I recommend visiting during the off-season. We have kids who are in school, so our best option was to fly into Vegas (you can get great deals on airfare to Vegas all year round). From Vegas, we rented a car and drove 3 hours to Zion. We saved a lot of travel time by flying, which allowed us to spend a long weekend at the park. The Zion Lodge is a great place to stay if you want to stay inside the park. There are advantages to this, the biggest one being the breathtaking scenic views you will be surrounded by and the ability to be so close to all of the hiking trails and activities. Springdale, Utah had a lot of lodging options and it’s located immediately outside the park. Prices for these accommodations vary. This area had a lot of dining and shopping options as well. Be sure to stop and eat at Oscar’s Café; it was wonderful! Our family stayed at a new La Quinta Inn & Suites in La Verkin, Utah. I would highly recommend this hotel. It was only a short drive to the National Park and we loved the city of La Verkin. There is also a beautiful lookout area you can drive to located near the hotel. Every evening we would drive to the lookout at sunset. This was by far one of our most favorite memories during our visit. 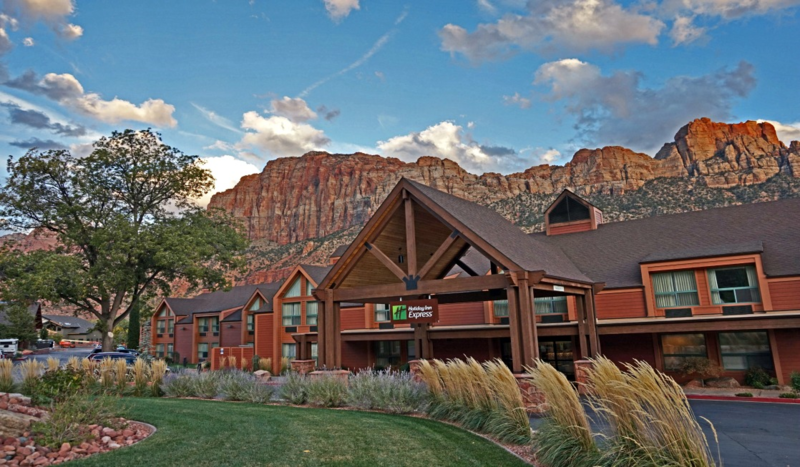 Our Credit Card TravelingMom wrote more about where to stay near Zion National Park. Refillable water bottle, as they have filling stations throughout the park. Snacks. Some hikes can take a few hours and you will want to fuel your body along the way! A good pair of hiking shoes is necessary. Look for ones with ankle support. Don’t forget to get a map at the visitors center. We used ours constantly during our trip. You can pack a picnic lunch and enjoy it inside the park. They also have dining options if you prefer. Outside of the Red Rock Grill is a beautiful tall tree and under it is the perfect picnic spot. Many families gathered around to relax, eat, and take in the scenery. Transportation to and for the park is easy. If you decide not to park inside the National Park (parking fills up by mid-morning) you have other options available right in Springdale. You can park alongside the road and walk to one of the 8 bus stops. These free buses run to and from the National Park during the day. We loved this option and did it every day. We discovered this by tuning our radio into 1610 AM when we got close to the park. 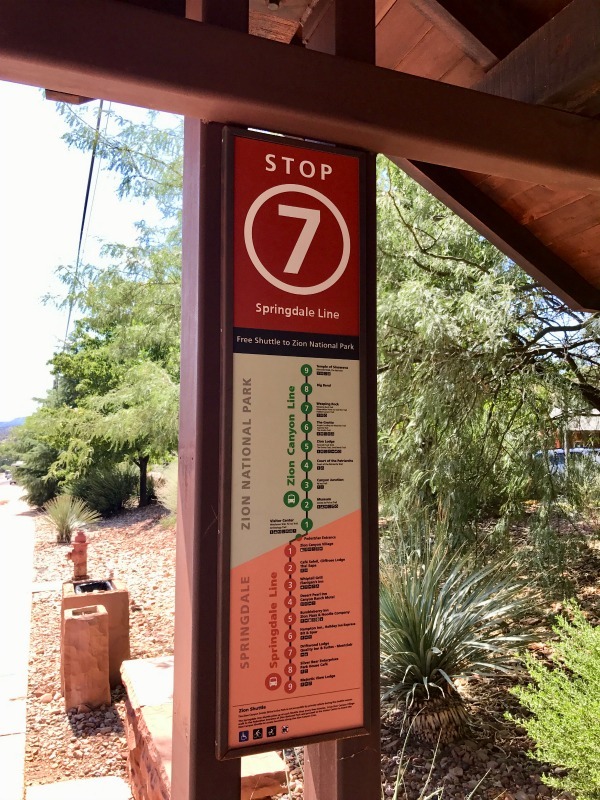 This station provides lots of information about your visit to Zion. Once inside the park, there is a free shuttle system that runs from early spring to late fall. It’s great for going from one trail to the next. We rode the shuttle around to all the stops when we first got there, just taking in the beautiful park (it’s an 80-minute ride round trip). I highly recommend doing this first. The Riverside Walk is a great trail for families. Weeping Rock is a MUST-SEE. There is a short steep trail but the view is well worth it. We took our three girls, ages 8, 6, and 4, and everyone loved it! The first part of Emerald Pools is great for young children. Our family hiked to all three emerald pools and we loved it; however, the hike to the final Upper Emerald Pool was more intense. Thanks for writing this just for me! I have yet to reach Zion and so want to do everything you suggest. 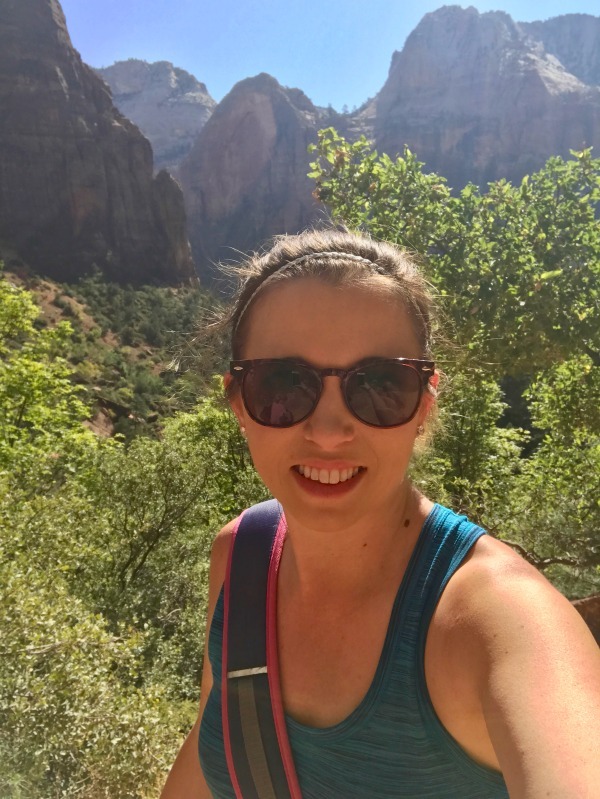 I love your tips for visiting Zion’s National Park. My family wants to go there this summer, so I want to plan everything out early. We’ll be sure to grab all of the hiking gear that you mentioned here. Is Zion a one day trip? Or would you recommend more? I would recommend only because there are so many great trails. I would plan a min. of 2 days.